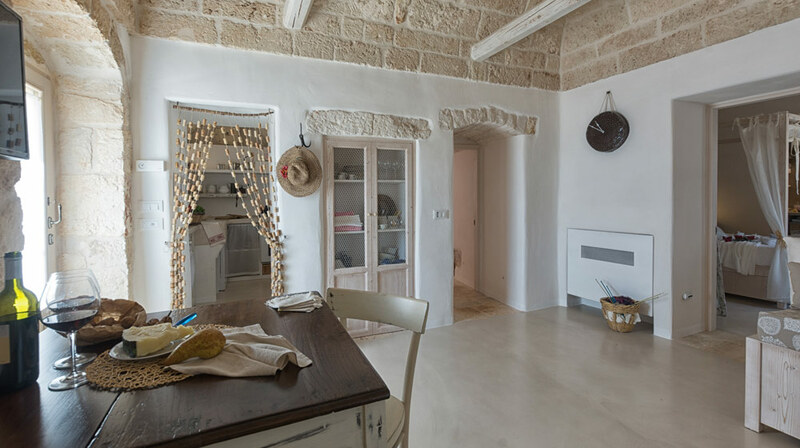 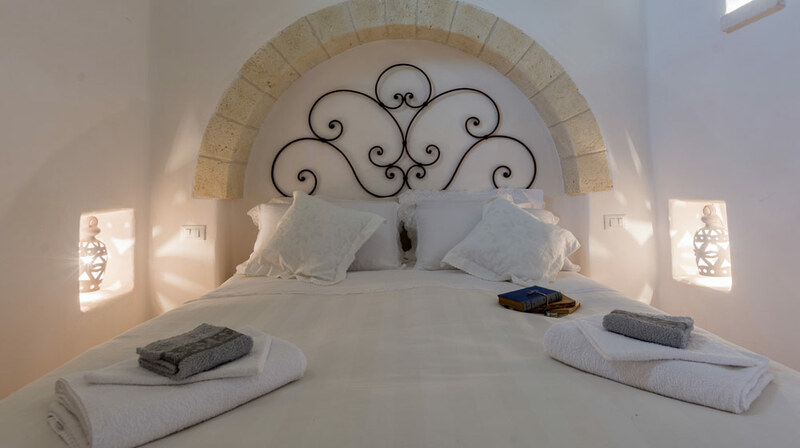 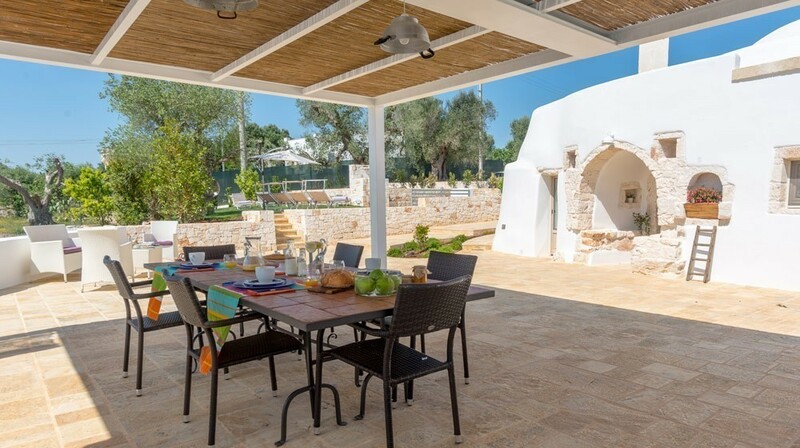 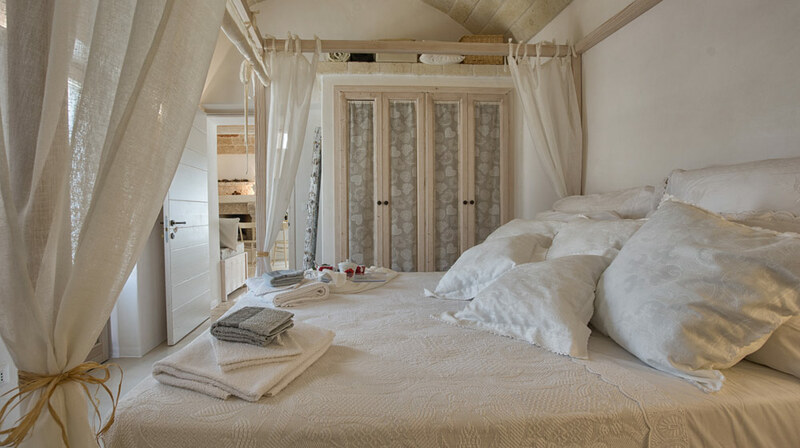 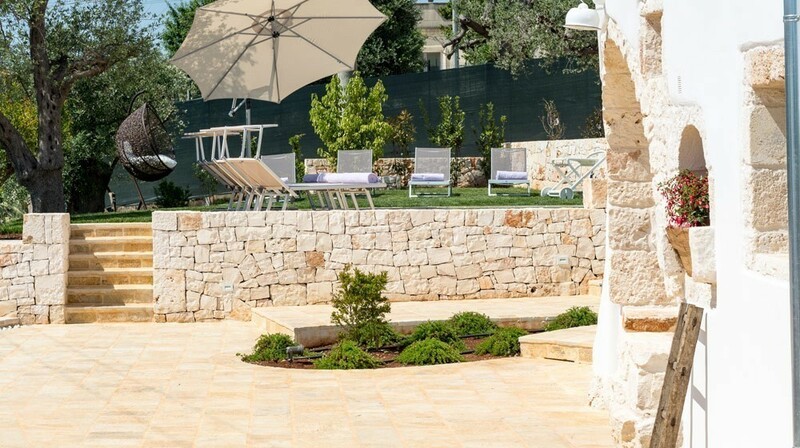 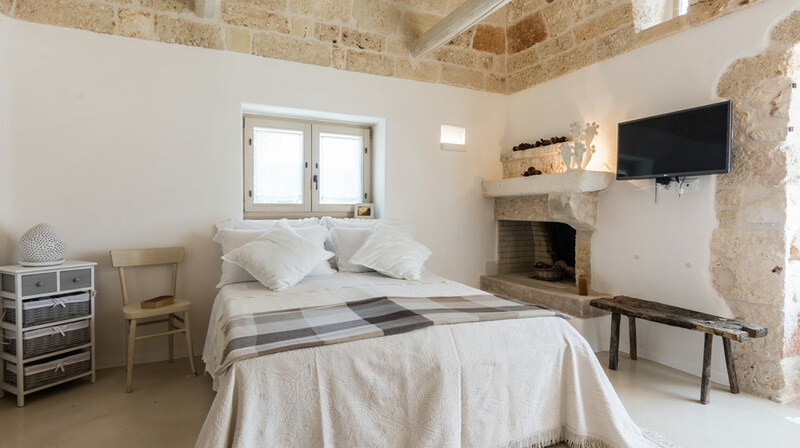 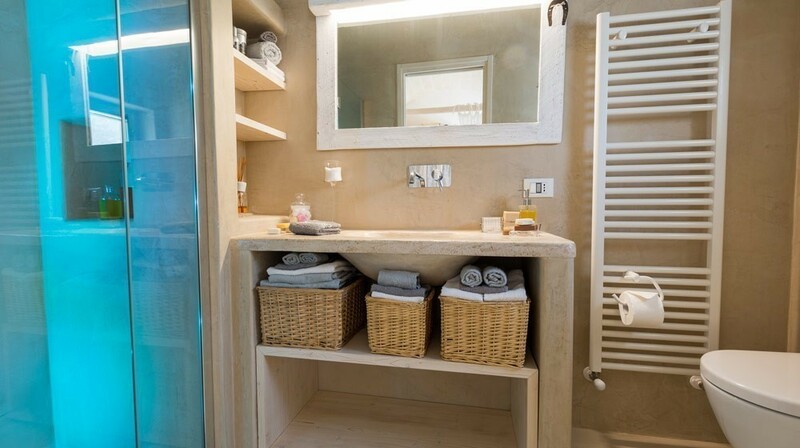 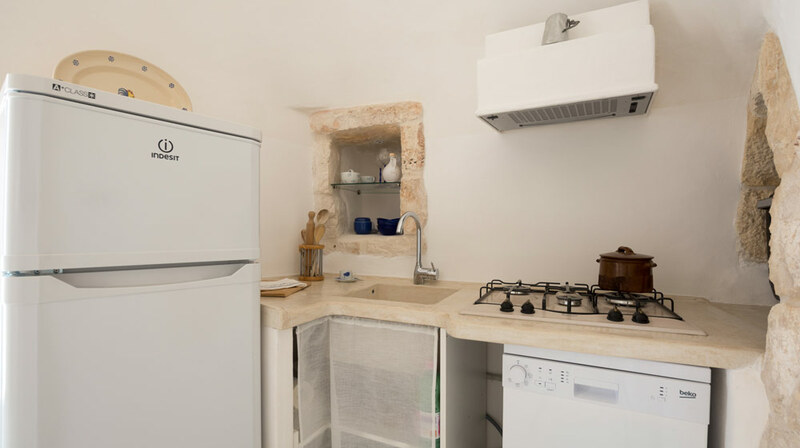 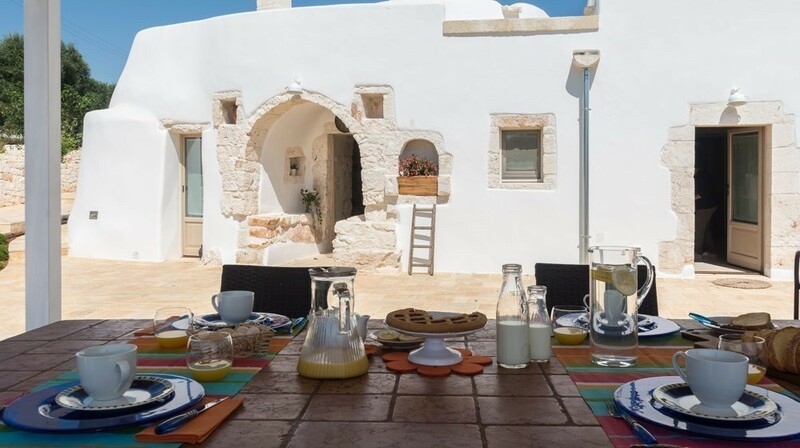 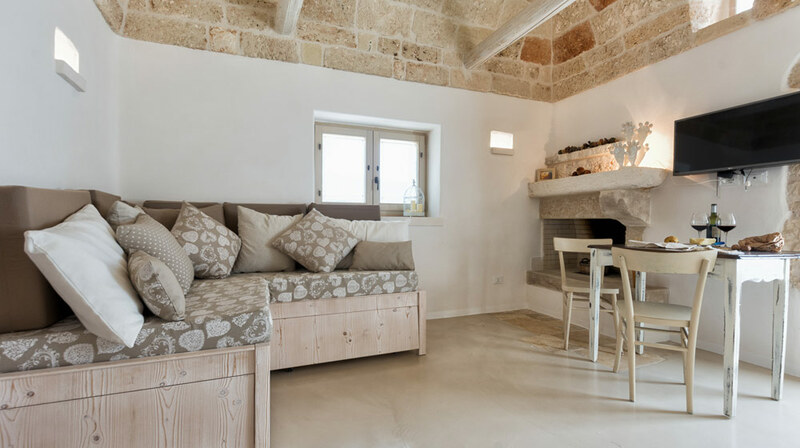 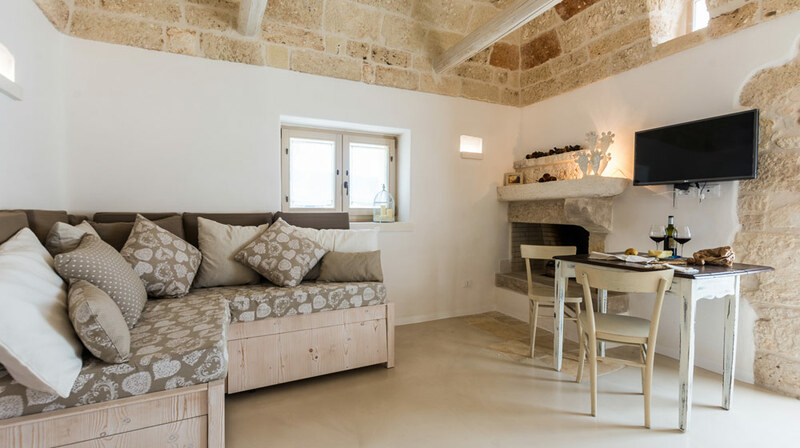 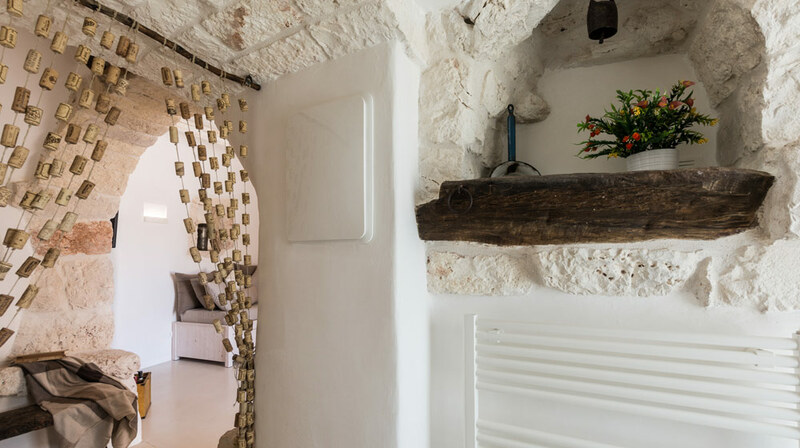 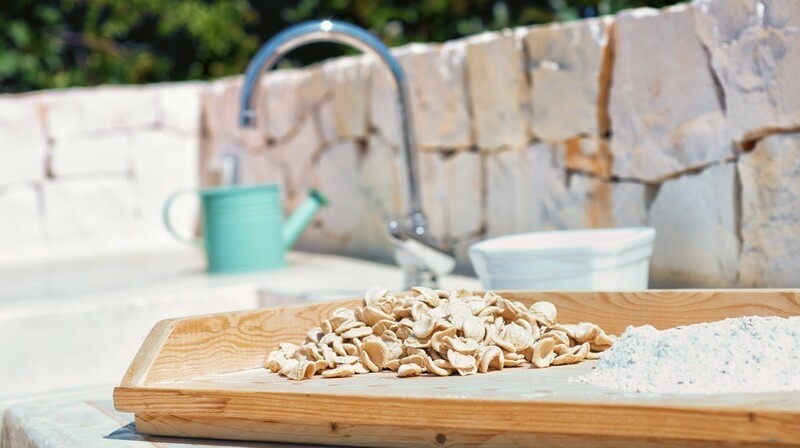 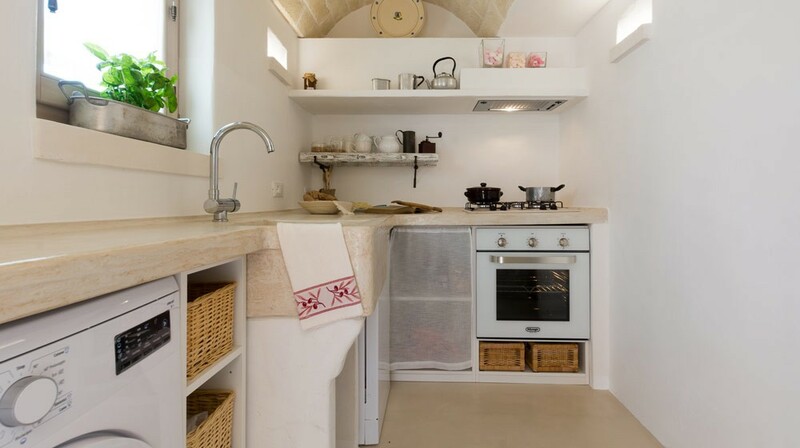 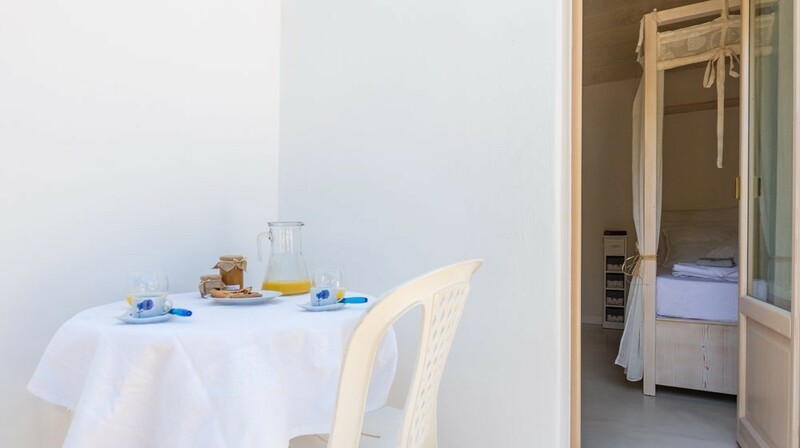 Obtained from the tasteful renovation of a traditional ‘trullo’, Trullo Atmosfera has been carefully planned to take full advantage of all the space available. 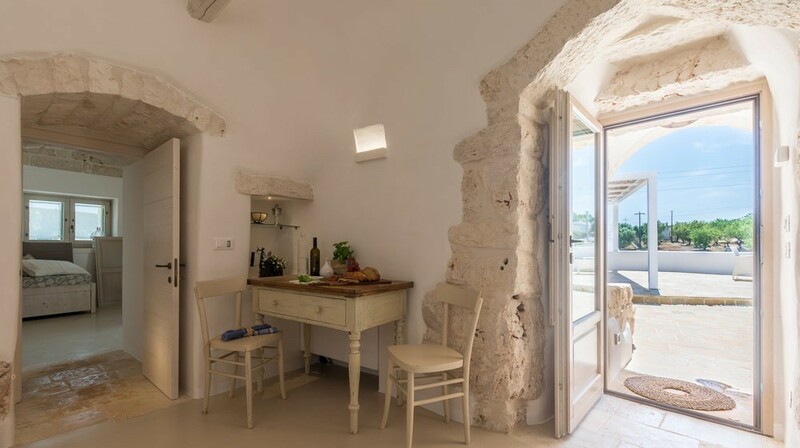 The villa is fronted by a splendid white-stone courtyard, by means of which we reach the entrance. 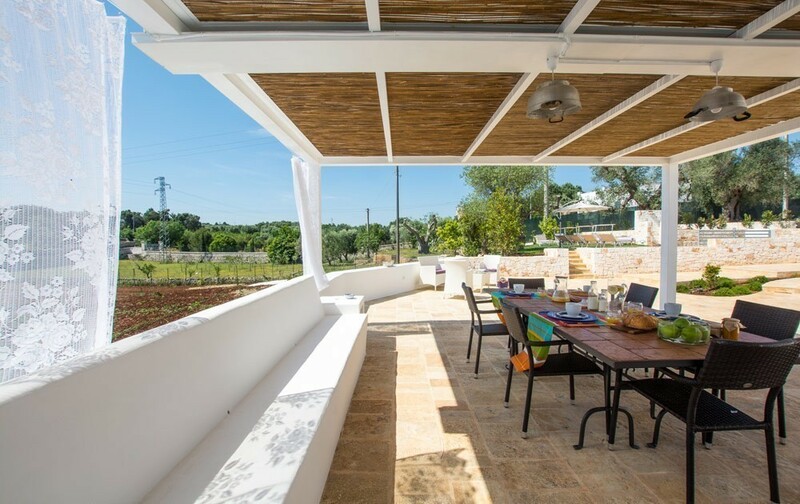 Here in the shade of the pergola, guests can take breakfast or simply relax on the comfortable benches. 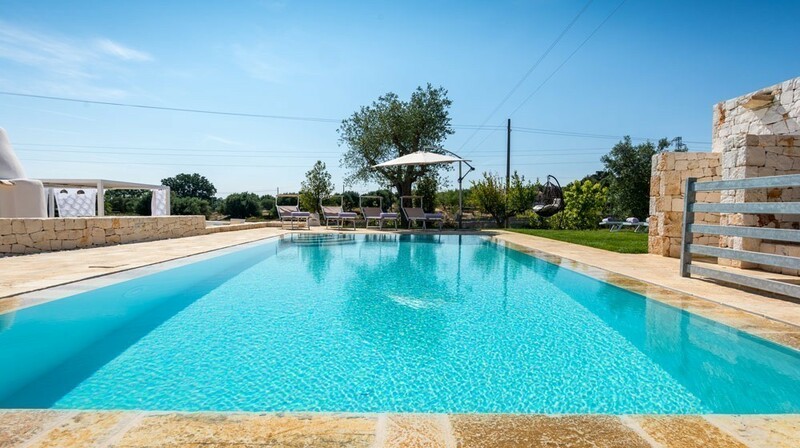 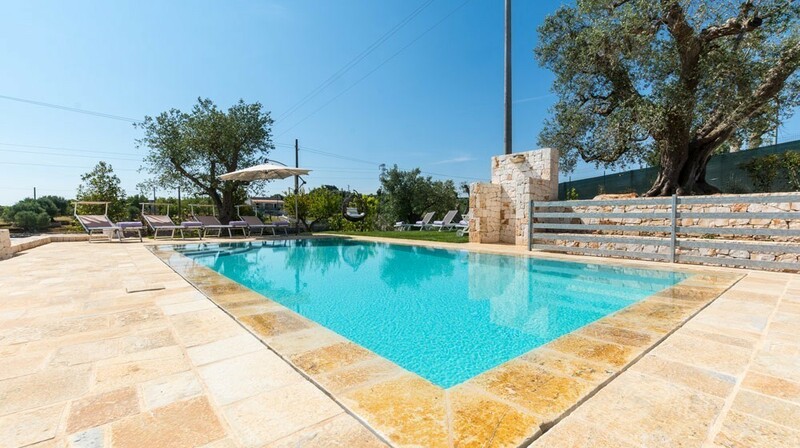 A few steps lead to the infinity pool (8x4 m) with solarium, which offers splendid views over the countryside of Ostuni. 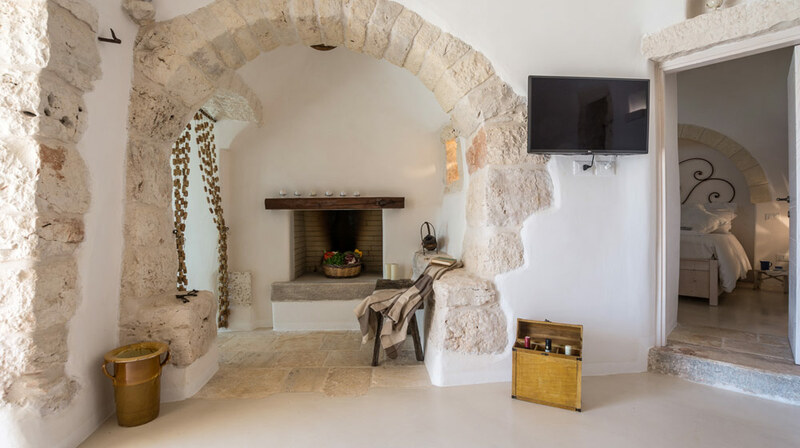 Crossing the threshold of the villa guests will find the living area with stone fireplace, leading to a small kitchen. 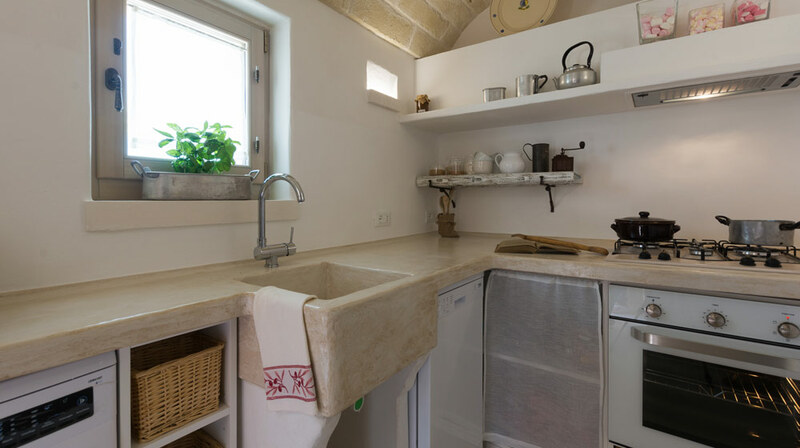 A stone manger, perfectly blending into the style of the kitchen, reminds us of the original use of this area, in the past used as a feeding box for farm animals. 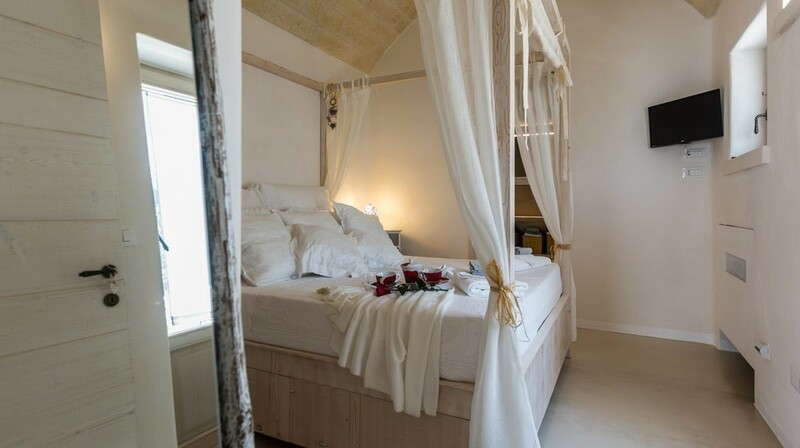 To the left is the first bedroom, with a king-size bed and private bathroom with shower, leading out to the garden. 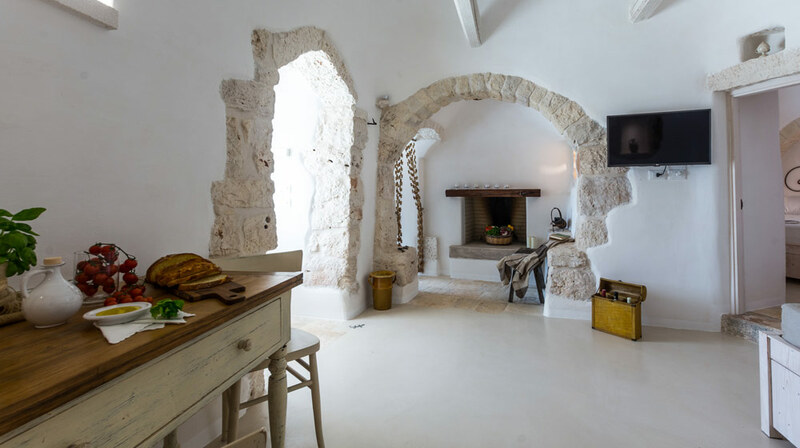 A fine stone archway leads to a second living room with fireplace and benches and a larger kitchen. 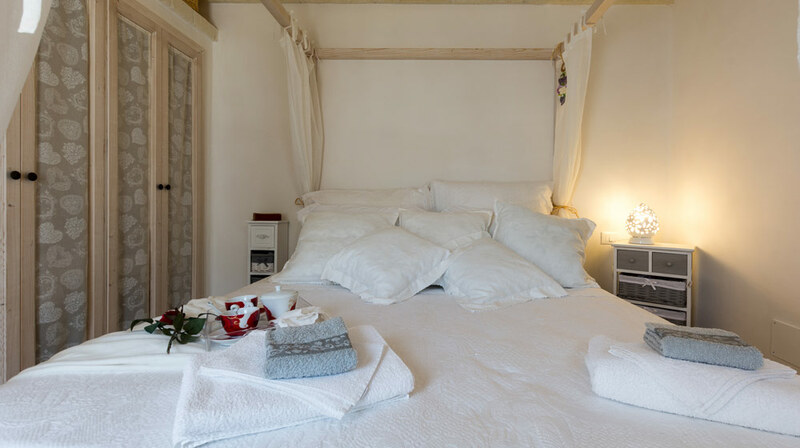 The second room has a fine canopied bed and purpose built wooden furnishings. 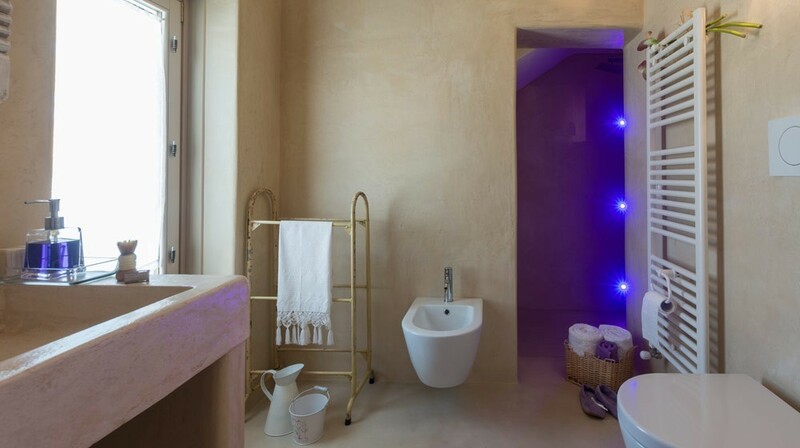 It has a private bathroom with shower. 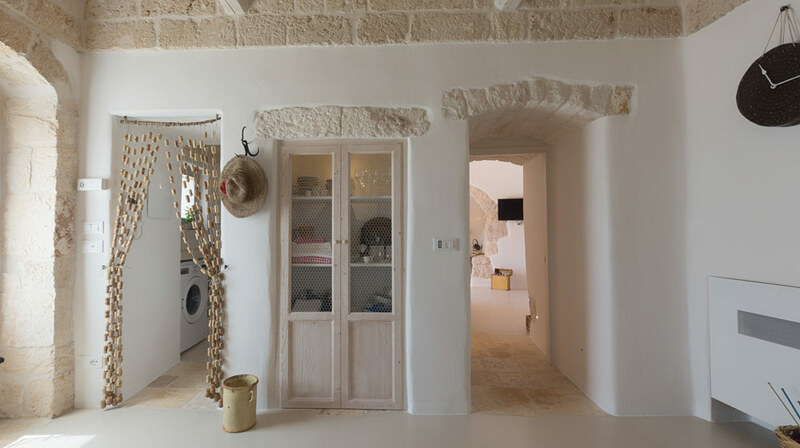 A barrel vaulted ceiling, use of stone blocks and cool muted colours all go to produce an enfolding, relaxing ambience, enhanced by pleasing natural light. 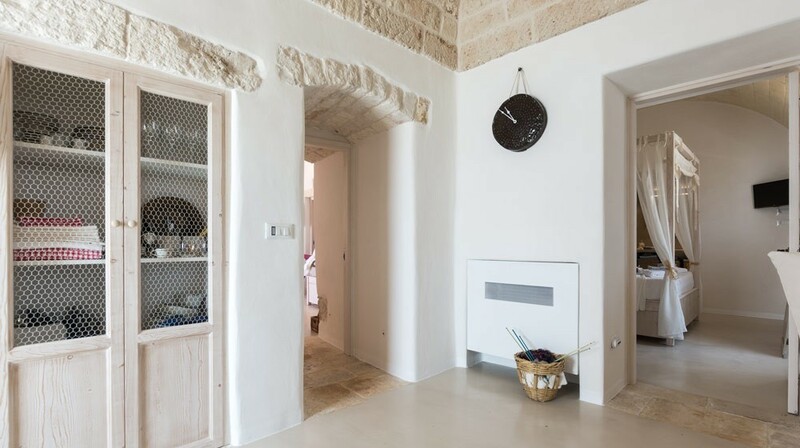 All areas have AC, but remember the ‘trullo’ maintains a pleasant natural temperature throughout the summer months. 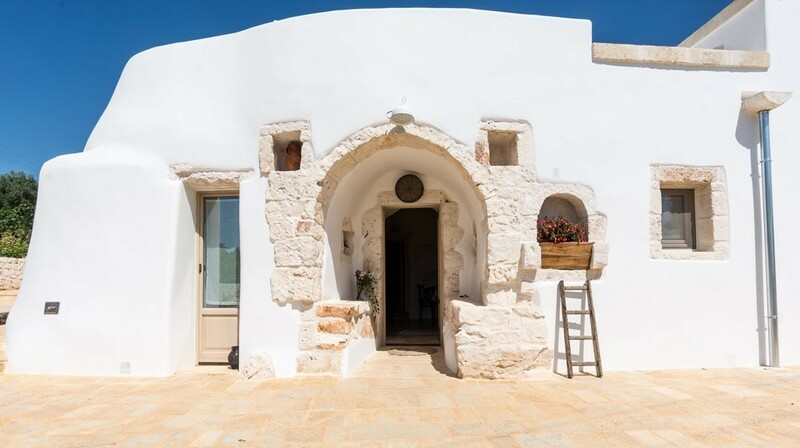 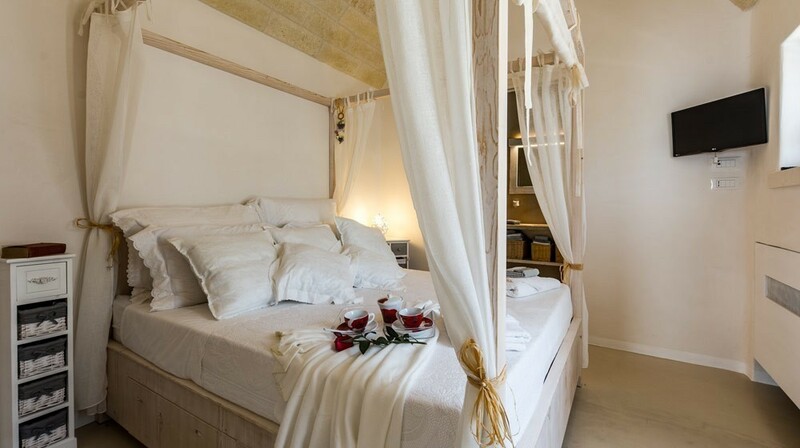 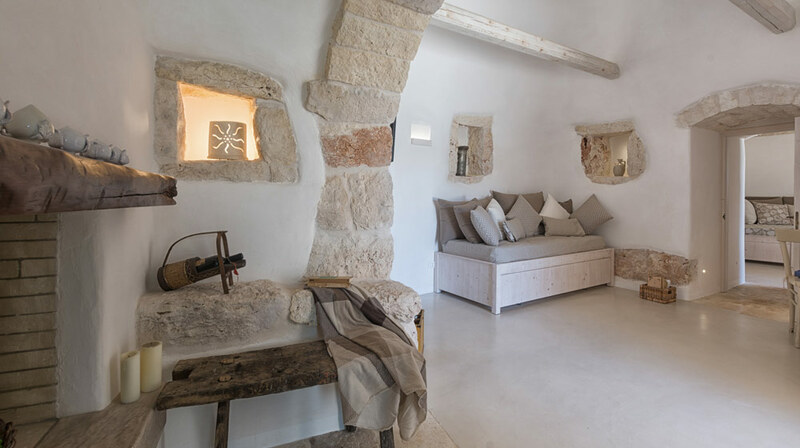 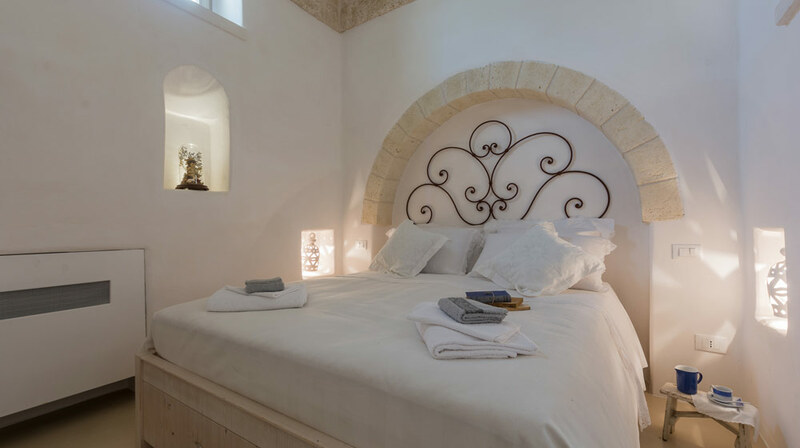 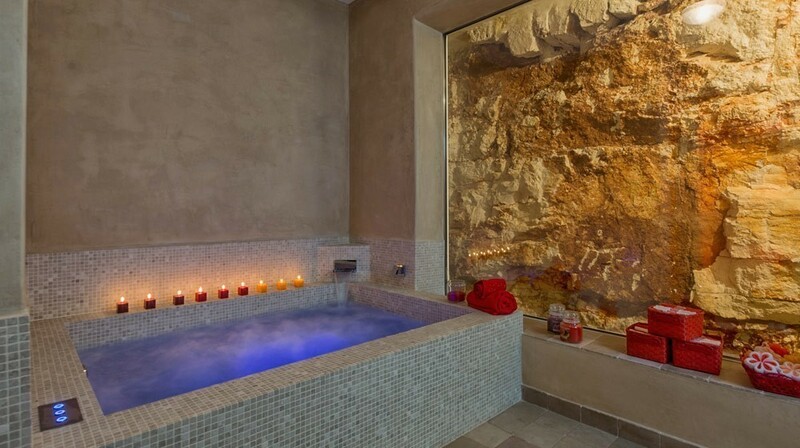 Trullo Atmosfera has its own special secret – dug out of the rock is a wellness room, a small haven of relaxation offering guests the delights of Jacuzzi, shower and Turkish bath.